Decorate The Outdoors With Us! Greetings and welcome to our patio section. 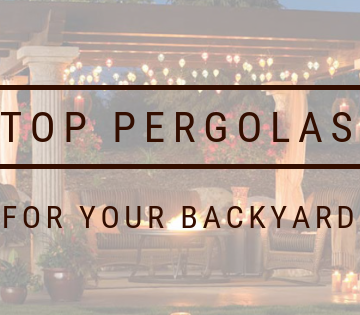 Here you will find all the resources you need to put together your ideal patio. It’s hard to envision a backyard without a patio. Whether you enjoy entertaining guests, or simply like relaxing outdoors, a patio is essential to the process. The first thing to keep in mind is that furniture is the lifeforce of the patio. What you pick in terms of furniture, decor, or accessories will affect the feel and flow of your patio. The best way to decide on this front is to ask yourself what you want to use it for. Do you intend on having family and friends over? Do you just want to have an indulgent relaxation and reading spot for yourself? Maybe a bit of both might be nice? 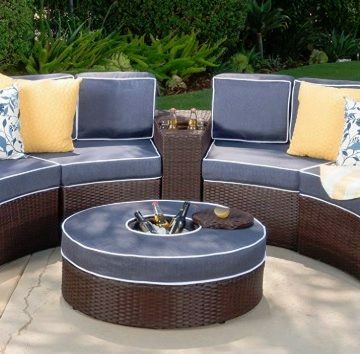 Once you’ve answered these questions, you can take a look more specifically at what furniture to adorn your patio with. Another important consideration is the number of people you expect (be it yourself, your family, or your guests). Typically, patio furniture varieties are sorted by the number of people they can accommodate, so once you decide on the best use, you can pick out furniture based on the number of people you have in mind. Do be careful, however, as the amount of space in your backyard is also an influencing factor. It’s not of much use if there is enough seating but the seats themselves don’t fit in the area designated in your backyard. Last but not least, reconfiguration is key. Having furniture that can be rearranged to suit different occasions improves everyone’s patio experience tenfold. This way, seating can be taken out or tucked away depending on the number of guests, tables and surfaces can be shuffled around as needed, and so on. If you can set it up so that your patio can morph to fit the occasion, you will have nothing to worry about. Luckily, a lot of the products we feature are quite flexible in that way and lend themselves to many different types of arrangements. This includes items such as patio furniture of all shapes and sizes, arbors, chimineas, fire pits, gazebos, labyrinths, patio sets, pergolas, trellises, waterfalls and walkways. All of these are perfect for beautifying your property, which can facilitate social events of all kinds, or ways for you to enjoy your backyard in a more private way, such as with labyrinths and waterfalls. We realize, sometimes you just want to sit out back and enjoy a sunny day in the privacy of your own backyard and that’s great too. Whether you like to entertain, or you like to relax in peace, The Gnome got you covered with some seriously great decor to make everything that much better. Most of the articles in this section are in the form of reviews for various products that we feel are worth a look. Of course, not all patio products are created equal, and our reviews reflect that as well. The Backyard Gnome tries to provide accurate and detailed information on every product, and these types of products are no exception. Because many of these items can become focal points for your yard, we want to make sure that you get the most accurate information possible on such items. 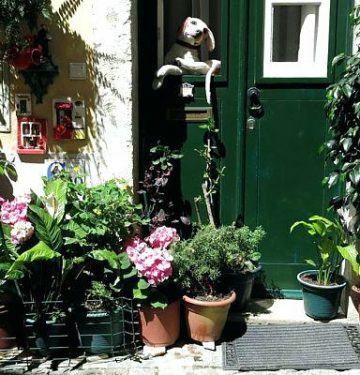 Since we have a bit of a green thumb, our writers enjoy talking about things like pergolas and trellises. This can incorporate the greenery of your backyard into the patio, which can lead to some spectacular views. We also have a thing for sitting around the fire, which is what chimineas are great for. There are a wide variety of chimineas available, in different styles. Maybe more than you know! Fire, of course, leads to cooking, and we don’t know anyone who isn’t into good food. Making a pizza over a fire pit at your own home is perhaps one of the great achievements of modern society. Again, our goal here is to help you make your backyard the best and most beautiful it can be! If you end up making your backyard into a paradise, please send is a picture, and we’ll post it for all to see so we can all get more inspired from it with our own ideas. Feel free to have a look around and see what you can find!